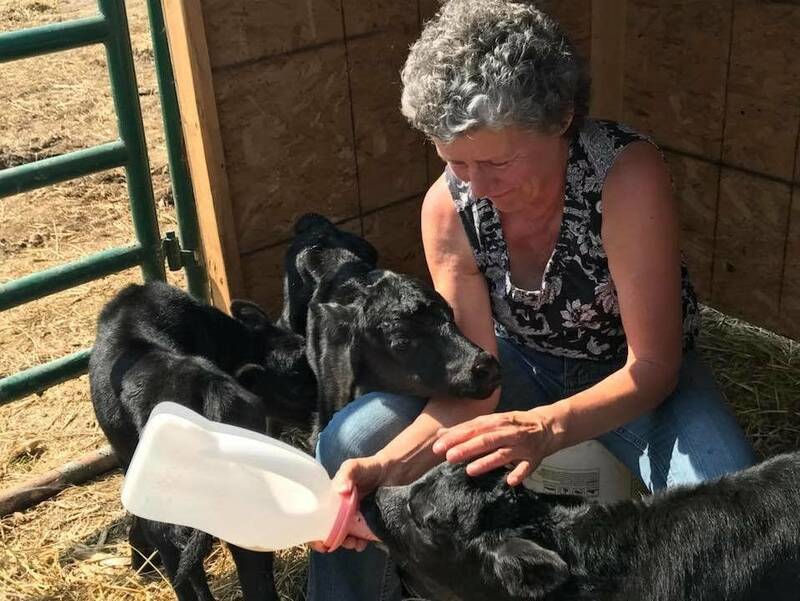 Farmers Chuck and Deb Beldo of Sebeka Minnesota knew that one of their cows was pregnant, so it was no surprise when she went into labor. But this wonder-cow had one of the couple’s biggest surprises in store. At the height of Spring, the couple was delighted to welcome the birth of their granddaughter one day. It was indeed a day for celebration, and it turned out to be the day that the cow’s progeny was also going to make his or her appearance. What Chuck and Deb expected to be a little calf was one huge surprise. Make that four surprises! Chuck and Deb had just been to see their new baby granddaughter when the pregnant cow started to go into labor. The farming couple wasn’t expecting anything more than the usual solitary calf, so when a second calf appeared after the first one, they were speechless. Their surprise grew to amazement when the third calf made an appearance, and they couldn’t believe what they were seeing when baby number four was delivered. Most calves weigh from 50 to 70 pounds at birth, but these quads were quite small at only about 25 pounds each. The problem with the calves being so small was that they were unable to nurse properly from their mother. That meant that Chuck and Deb were on 24-hour duty to feed the youngsters to try and ensure their survival. The couple took turns at bottle-feeding the babies by hand around the clock. Now they have installed bottle holders so that they no longer have to hand feed them and the babies can feed themselves. The couple has given the foursome the nickname of “little teeny tiny peanuts” because of their small size. But feeding quadruplets is no easy feat, even if the babies are of the bovine variety. Luckily, Chuck and Deb have great neighbors who rallied around the help the couple. 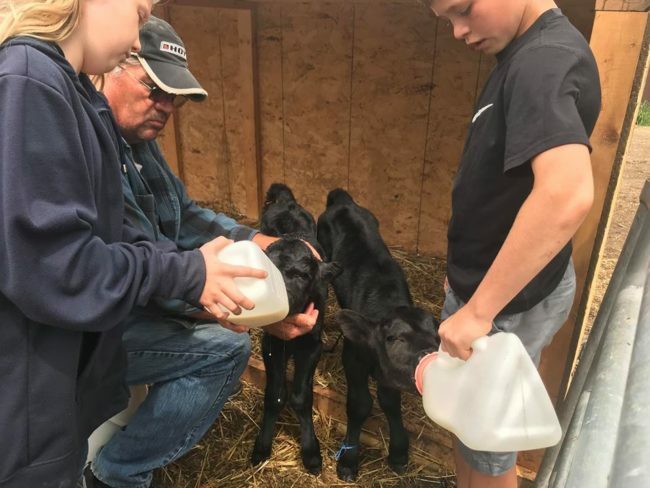 They developed bovine colostrum for the calves to eat for maximum nutrition and immune function, and Chuck and Deb are mighty pleased with the support. The quads were a sensation when the couple shared the incredible news of their birth and survival on Facebook. So much so that the birth announcement they posted garnered over 80,000 shares from across the globe. The truth is, most farmers who keep cattle don’t name their animals. Perhaps it would make them too ‘human.’ But social media has other ideas about these four babies. People are suggesting names for the calves, so if you have an idea, comment and share far and wide.